Saturday, Sept. 15, sunrise to 11:30 a.m. 28th Annual Lakes, Rivers and Coastal Cleanup. Groups/organizations are encouraged to volunteer. Registration deadline: Sept. 6. 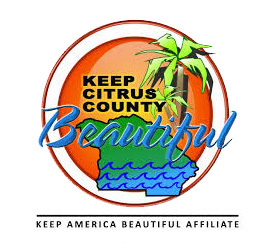 Visit county annual cleanup for an application. More info call 352-527- 7620 or email tracey.ivkovic@citrusbocc.com. Saturday, Sept. 15, lunch served at 11:30 a.m. EASTSIDE VOLUNTEER APPRECIATION COOKOUT. All registered cleanup volunteers welcome. Lake Hernando Beach, 3699 E. Orange Dr., Hernando. Call (352) 419-1569 for information. FREE. Saturday, Sept. 15, lunch served at noon. WESTSIDE VOLUNTEER APPRECIATION COOKOUT. All registered cleanup volunteers welcome. Sponsored by and located at American Pro Diving Center, 821 S.E. US 19, Crystal River. Call (352) 419-1569 for information. FREE. FREE Presentation on “All You Ever Wanted to Know About Recycling” at Libraries across the county. Location, date/time as follows: Homosassa - Monday, Sep. 17 at 5:30-6:30pm, Coastal Region - Tuesday, Sep. 18 at 5:30-6:30pm, Central Ridge - Thursday, Sep. 20 at 5:30-6:30pm, Floral City - Friday, Sep. 21 at 3.30-4:30pm, Lakes Region - Saturday, Sep. 22 at 3:30-4:30pm. Call 352-746-9077 for more information. Monday, Sept. 17, Tour at 8a.m. WALKING TOUR OF THREE SISTERS SPRINGS PROJECTS WITH THE SOUTHWEST FLORIDA WATER MANAGEMENT DISTRICT. Tour the Three Sisters Springs Wetland Treatment Project and Bank Stabilization Project with a springs expert. 601 Three Sisters Springs Trail, Crystal River. Call (352) 796-7211, ext. 4768 or email SpringsTeam@WaterMatters.org to register. Capacity: 30. FREE. Tuesday, Sept. 18, Tours at 8 a.m., 10 a.m. & Noon. KAYAK TOURS. Paddle through quiet canals to Three Sisters Springs and back. Launch from A Crystal River Kayak Company, 1422 Bldg. B, S.E. US 19, Crystal River. Call (352) 795- 2255 (option 1 for registration). Capacity: 10 people per tour. Cost: $10 - refunded at end of tour. Tuesday, Sept.18, Tours at 10am- 1pm &3pm-6pm. Guided Eco-tour with Hunter Springs Kayaks on Hall’s River. Cruise through the incredible backwaters of Homosassa and get a rare chance to see unspoiled Old Florida. Reserve your seat by Sept.16. Call (352) 228-4715.Visit www.hunterspringskayaks.com/unique-guided-tours or email Taela@hunterspringskayak.com. Capacity:10. FREE. Tuesday, Sept. 18 Tours 10:30 am and 1:30 pm. HERITAGE ECO BOAT TOURS @ CRYSTAL RIVER PRESERVE STATE PARK. Experience the Estuary boat tour on the Crystal River. Depart from Crystal River Preserve State Park, 3266 N. Sailboat Ave., Crystal River. Call (352) 228-6028 advance registration required. Capacity: 24 people per tour. FREE. Sponsored by the Friends of Crystal River Parks, Inc. Donations appreciated. Wednesday, Sept. 19, 5:30 p.m. LOCAL HIGH SCHOOLS ENVIRONMENTAL JEOPARDY COMPETITION. Local high schools compete in testing their environmental knowledge. Public invited. Event held at Conference Center, College of Central Florida, Citrus Campus, 3800 S. Lecanto Hwy, Lecanto. Call (352) 613-6850 for information. FREE. Wednesday, Sept. 19, 7 p.m. LOCAL MIDDLE SCHOOLS ENVIRONMENTAL JEOPARDY COMPETITION. Local middle schools compete in testing their environmental knowledge. Public invited. Event held at Conference Center, College of Central Florida, Citrus Campus, 3800 S. Lecanto Hwy, Lecanto. Call (352) 613-6850 for information. FREE. Thursday, Sept. 20 Tours at 10:30 am and 1:30 pm. HERITAGE ECO BOAT TOURS @ CRYSTAL RIVER PRESERVE STATE PARK. Experience the Estuary boat tour on the Crystal River. Depart from Crystal River Preserve State Park, 3266 N. Sailboat Ave., Crystal River. Call (352) 228-6028 advance registration required. Capacity: 24 people per tour. Complimentary, sponsored by the Friends of Crystal River Parks, Inc. Donations appreciated. Friday, Sept. 21 at 8:30 a.m. to noon. ARCHAEO-ECO KAYAK TOUR. Explore archeological sites on the shores or beneath the surface of the Crystal and Salt Rivers with the Florida Public Archaeology Network and Florida Aquatic Preserves staff. Depart State Park, 3266 N. Sailboat Ave., Crystal River. Contact Nigel Rudolph at snrudolph@usf.edu. Limited capacity, please email for registration. Cost: $25/rent, $20 bring your own boat. 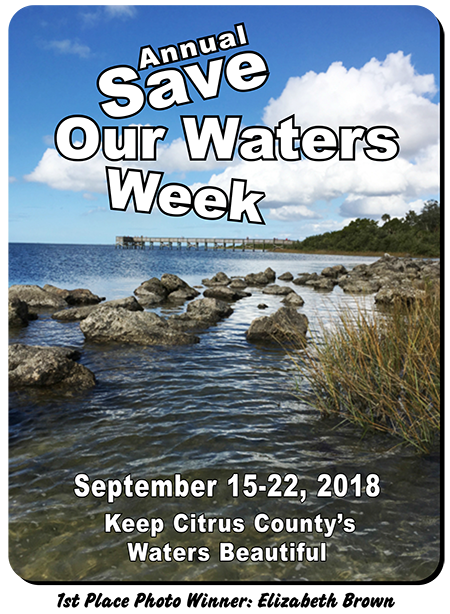 Saturday, Sept. 22 from 2:00 - 3:30 p.m. Water: The Life of Florida PRESENTATION by Eric Flagg, springs activists, professor, co-owner Jellyfish Smack Productions, documentary film production company producing numerous documentaries relating to environmental topics. Location: Old Courthouse Heritage Museum - Inverness. Register at (352) 341- 6428. Capacity: 150 people. FREE. Sponsor in part by the Inverness Cultural Heritage Council.